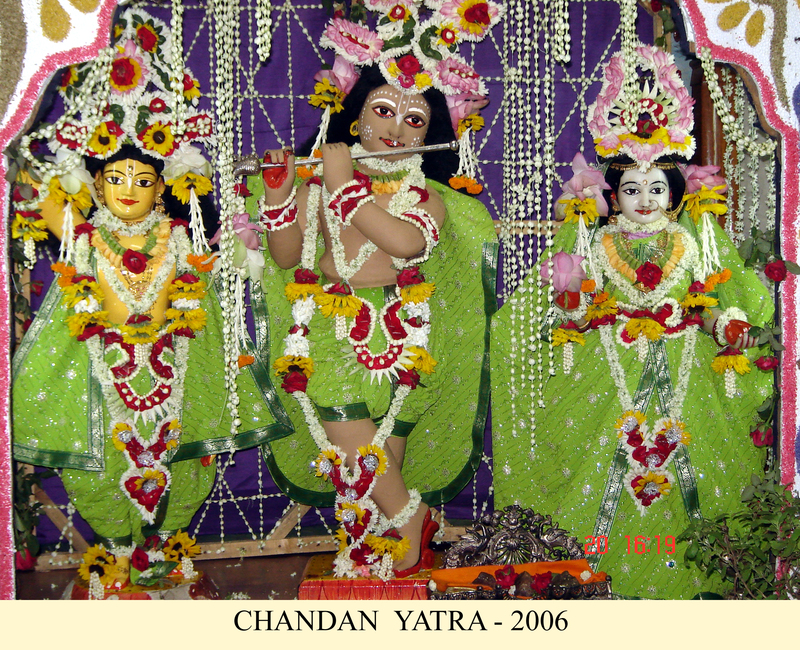 Gaudiya Mission is a religious, charitable organization established, with a motive to practice and propagate the philosophy of ‘Bhagavat Dharma’ and ‘Gaudiya Vaishnavism’ as propounded by Sriman Chaitanya Mahaprabhu. It aims to enlighten the people of the world with this universal, all-encompassing, sublime religion preaching universal peace, harmony and brotherhood on the plane of transcendence under the guidance of the present Acharya and President Om Vishnupad Paramhansa 108 Sri Srimad Bhakti Suhrid Paribrajak Maharaj. In the year 2006 Mrs. Sukla Ghosh expressed her will to donate a piece of land with two storied building (her own house) at 180 Fulton Avenue, Rochester New York U.S.A to the Mission. The property was donated by her in the month of July 2007. The new branch is named by the name of Ex-president Om Vishnupad Paramhansa 108 Sri Srimad Bhakti Srirup Bhagabat Goswami Maharaj as "Sri Bhakti Srirup Bhagabat Gaudiya Math". The new branch is inaugurated by the merciful lotus hands of His divine grace Om Vishnupad Paramhansa 108 Sri Srimad Bhakti Suhrid Paribrajak Maharaj On 22nd September, 2007. Sripad B.S. Sanyasi Maharaj, secretary and Sripad B.P. Madhab Maharaj was also present on the occasion. About a hundred religious minded people attended the spiritual ceremony. Gaudiya Mission USA was recognized as a Non-Profit Public Charitable organization by Internal Revenue Service (IRS) and was granted exemption from Federal Income Tax under section 501(c) (3) of the Internal Revenue Code, effective September 03, 2008.